Writing short stories is different than writing novels. Many authors are nervous about writing short stories because they’re not sure how short stories differ from novels. Like all forms, short stories have their own unique rules. However, the rules for writing short stories are not difficult to master. For one, short stories are shorter than novels. How long are short stories? Technically a short story is anywhere between 1,000 to 20,000 words. If your story is less than 1,000 words, it would be considered flash fiction, which, by the way, is a growing market. If your short story is longer than 20,000 words, it would be considered a novella. Most literary magazines publish short stories that are between 3,000 and 5,000 words, so if you’re looking to get published in a magazine, aim for that length. Short stories are also structured differently than novels. Novels have time to explore the full three-act structure. 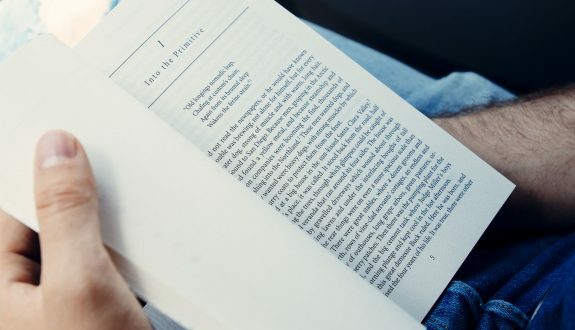 However, in a short story, you often only have space to write a segment of the three-act structure, usually a segment that leads up to a major, transformative event for the main character. A good example of a major event is William Faulkner’s short story, “A Rose For Emily,” which centers on the discovery of the shy main character’s dead, decaying body in her home. The rest of the story is just build up and explanation for that one central event. Finally, short stories only focus on one major character. Novels have room to explore the lives of several major characters. For example, in Jane Austen’s Pride and Prejudice we closely follow the life of Jane Bennett and her relationship with Mr. Bingley. You can’t write a subplots into your short story. They’re too brief to focus on the life of more than one major character. Let’s Write a Short Story! If you’d like to write and publish a short story, get a copy Let’s Write a Short Story! a guide and reference book to walk you through the process of publishing your own short story. 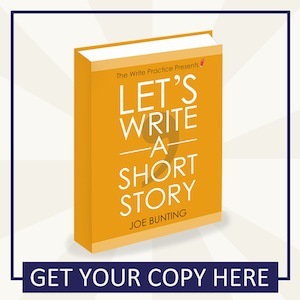 Find out how to get your copy of Let’s Write a Short Story! I’ve almost completed “Let’s Write a Short Story.” Lots of fresh, creative tips I haven’t heard before. I’m currently working on a new short story and I’m thrilled to be a part of a new community of writers! p.s. In case anyone is into Pinterest > http://pinterest.com/DarleneToday/ Just now getting involved in that platform and it’s quickly becoming my fav. Awesome, Darlene. Good for you. Best of luck on your new story. I’m working on a new one too and it’s making me a little nervous. I hope I still know how to write! Many thanks, Joe, for your simple, complete guidelines on writing a short story. You’ve told me all I wanted to know, plus word length and how to format the manuscript for submitting to a literary magazine. I’m polishing a short story I wrote two years back and hope to submit it soon. Thanks for this post. It helped me figure out my writing a bit. Just a quick correction: Pride & Prejudice is about Jane and Mr. Darcy (not Mr. Bingley). Correct. I mentioned Bingley and Jane’s relationship because it’s a subplot you can’t really go into in a short story. Thanks for pointing that out though! Greetings. I would like to know what happens when a narrative story contains 3000 words but it offers an exploration of the three acts-structure and brings into play several characters from different perspectives, using very short chapters. Could it be considered a micro-novel? I’ve seen a plot analysis of the ‘typical’ best-selling novel, which I now cannot find but I remember was broken down by percentages. In other words, the author of the analysis took a 100,000-word novel and broke down the plot structure by suggesting that (for example) the inciting incident normally occurs 10,000 words into a 100,000-word story or when the reader has read ten percent of the story. How does this compare to a short story? In James Scott Bell’s “Superstructure”, he suggests that a typical successful novel has fourteen plot points. How many plot points does a short story normally have and can the plot points of a properly structured short story be broken down by percentage points? Thanks!